With an Educational Specialist degree from Lincoln Memorial University, Rachel Ernst has spent the past fifteen years serving in Gwinnett County as a teacher, assistant principal, and principal. Most recently, she oversaw over a thousand Starling Elementary students and a hundred-member faculty/staff team. Rachel is excited to serve as the Upper School principal at LCA this year. 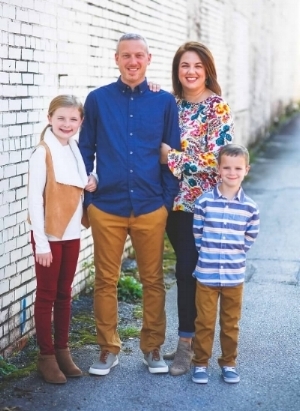 She has a passion for Jesus, for education, for the professional development of teachers, and for establishing relationships with teachers, students, and parents. She also has a desire for guiding an educational strategy that meets the needs of all learners—both those who need a bit of support and those who are eager to be challenged. The traditions and long-standing culture of LCA are at the heart of every decision Rachel makes during this year of transition. LCA has seen a lot of growth, both students and staff, this year, and Rachel is ready to face the challenge while keeping in mind LCA’s mission that has served the community so well for twenty years. Rachel and her husband, Jimmy, are actively involved in Graystone Church. They have two children, Lily and Clay, who attend LCA. Rachel enjoys spending time with her family in the mountains of North Carolina and cheering on Lily and Clay during volleyball, lacrosse, and soccer games.